Grammy winner Brandy takes on the role of Roxie Hart in "Chicago" at the Kennedy Center April 4-16. 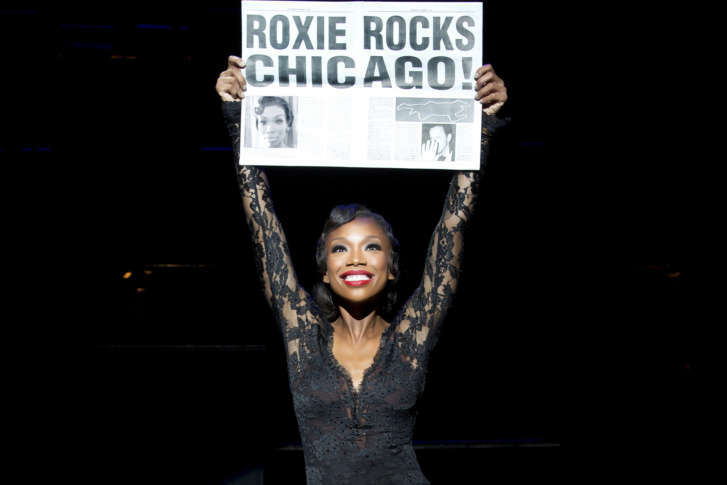 Grammy winner Brandy Norwood stars as Roxie Hart in the iconic musical “Chicago” from April 4-16. The Kennedy Center performance marks her third time playing Roxie after making her Broadway debut in 2015 before reprising the role at the Hollywood Pantages Theatre in Los Angeles in 2016. Featuring a book by Fred Ebb, who provides the lyrics, and Bob Fosse, who crafts the choreography, the show follows 1920s nightclub dancer Roxie Hart, who kills her extra-marital lover, then works with slick lawyer Billy Flynn and rival cellmate Velma Kelly to beat the rap in Prohibition Chicago. The 1975 Broadway musical was nominated for 11 Tony Awards, including Best Musical, Best Actress for Chita Rivera and Best Actor for Jerry Orbach, but came away empty-handed against “A Chorus Line.” The show returned with a vengeance in 1996, winning six Tonys including Best Musical Revival, followed by Rob Marshall’s 2002 movie musical, winning six Oscars including Best Picture. It’s just the latest career turn for the versatile Brandy, who first became a household name starring in TV’s “Moesha” (1996-2001). Along the way, she cranked out hits as a successful pop and R&B artist. Her self-titled debut album “Brandy” (1994) featured several radio hits, including “Baby” (No. 4), “I Wanna Be Down” (No. 6) and “Brokenhearted” (No. 9). Soon after, the “Waiting to Exhale” (1996) soundtrack launched her single “Sittin’ Up In My Room,” which reached No. 2 on the Billboard chart. Still, it was her sophomore album “Never Say Never” (1998) that exploded the most, going five-times platinum in America. The album saw numerous hits: “Top of the World” featuring Mase (No. 4), “Have You Ever?” (No. 1), “Almost Doesn’t Count” (No. 16) and “The Boy Is Mine” featuring Monica (No. 1), which was nominated for Record of the Year and won a Grammy for Best R&B Performance by a Duo. Fittingly, it was music colleague Usher who proved the possibility of Broadway’s “Chicago” in 2006. Her transition into musicals also included Rodgers & Hammerstein’s “Cinderella” (1997), playing the title role across Whitney Houston’s Fairy Godmother in a TV movie choreographed by Rob Marshall. Tragically, the universe had a chapter of adversity planned. On Dec. 30, 2006, Brandy was involved in a multiple-car crash on the 405 Freeway in Los Angeles. No charges were filed in the fatal crash, but after the accident, Brandy claims the character of Roxie Hart helped her find direction again in life. Now, all these years later, Brandy has found peace and purpose under the stage lights.